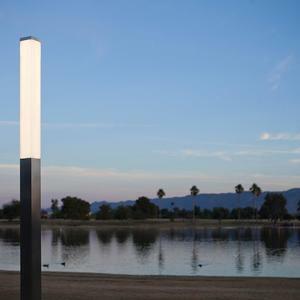 Smart, simple, and square, our new Rincon Pedestrian Lighting blends a minimalist form, precise stainless steel construction, and high-performance LED technology. 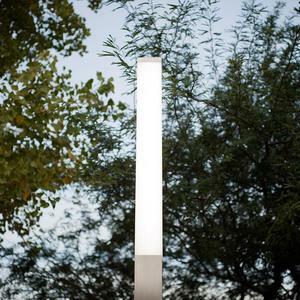 Rincon was among the products we previewed at the 2014 ASLA Expo in Denver. 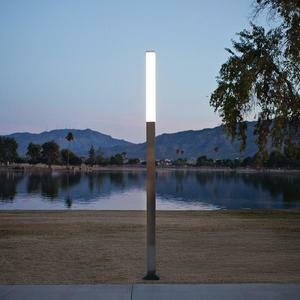 You may have seen it in person if you stopped by our booth—it was displayed next to its equally square counterpart: our popular Rincon LED Bollard. 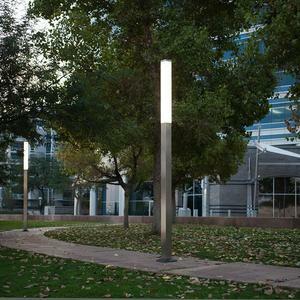 Now, we’re thrilled to announce that the pedestrian fixture is also available to brighten courtyards and walkways anywhere. 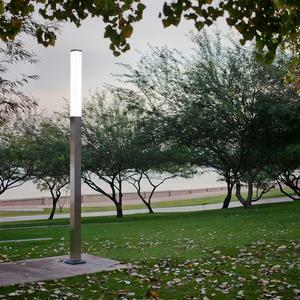 Rincon Pedestrian fixtures have a compact 4.5" square column and stand at 117" tall. Precision manufacturing ensures a virtually seamless finished appearance and contributes to the crisp lines of the overall profile. Body and head are stainless steel with a Satin finish. A white-frosted acrylic lens keeps the look clean. Rincon’s stainless steel construction distinguishes it from its cast and/or extruded aluminum counterparts. As a material, stainless is an especially durable, long-lasting choice for demanding outdoor environments. It’s also one that reinforces Rincon’s modern aesthetic. 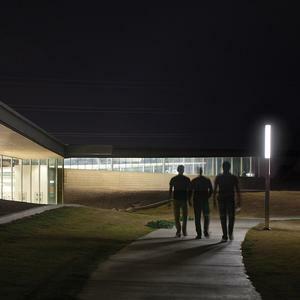 In terms of lighting performance, Rincon offers the advantage of Cree® LEDs. 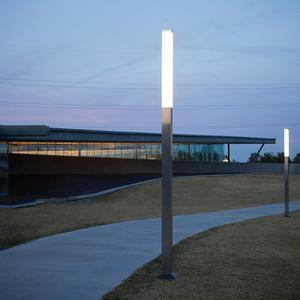 Among the best on the market today, Cree LEDs offer uniform light output, energy efficiency, and hours of worry-free illumination. Rincon is a beautiful match for public spaces of all kinds. 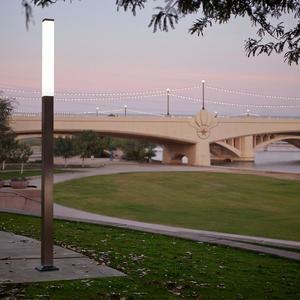 To learn more about how Rincon Pedestrian Lighting and Rincon LED Bollards can illuminate your next project, visit our website or contact us for additional information.